I just completed the website for St. Joseph Mercy Oakland’s art curation program. The site allows potential donors to view art that is available to sponsor throughout a new wing of the hospital. 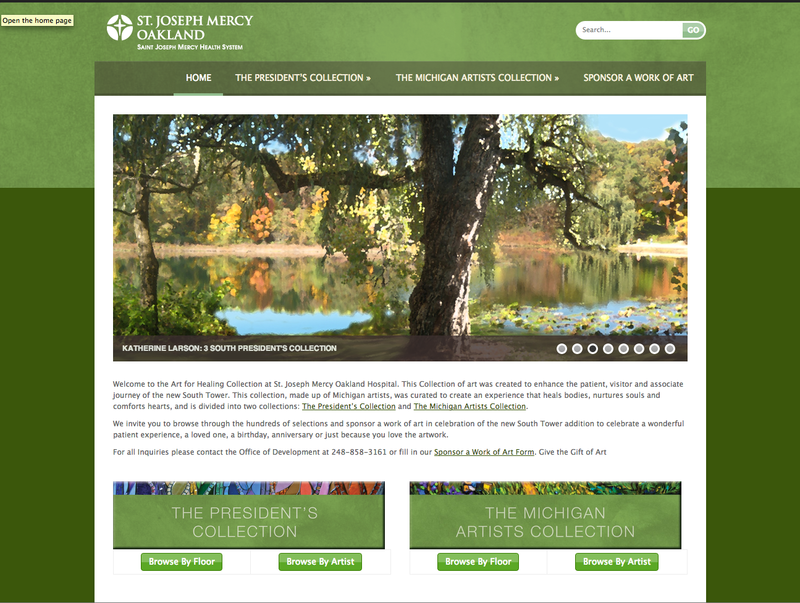 There are two collections, The President’s Collection and The Michigan Artists Collection. The President’s Collection has the most expensive commissions and I designed the print art catalog for that collection. I did this project through Aesthetics, Inc.